What government told the shale gas industry about success, regulation, jobs and support – DRILL OR DROP? Once the first well was in production, the notes said, the government believed “we will be in a better position”. And according to the notes, ministers intended to streamline regulation for shale gas and create a “UK model” for shale extraction that can be exported around the world. The meeting, called by Claire Perry, was at lunchtime on 21 May 2018. Later that day, the minister gave evidence to a committee of MPs on proposed changes to the planning rules for shale gas developments. Four days earlier, these changes had been announced in Written Ministerial Statements. 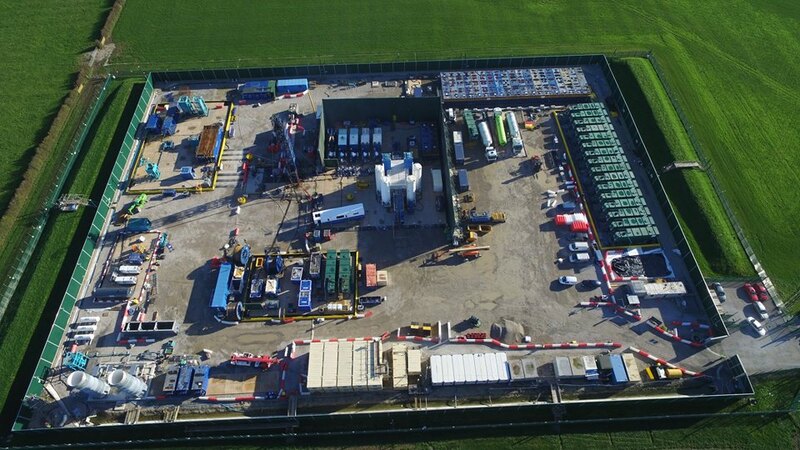 They proposed treating non-fracking shale gas proposals as permitted development, avoiding the need for planning applications, and classifying major shale gas production schemes as nationally-significant infrastructure projects (NSIP), to be decided by a Secretary of State. DrillOrDrop reported in August that most of the notes of the meeting released under a Freedom of Information request had been redacted by a government department “in the public interest” or because they contained confidential information. The list of attendees was also not released. The FOI request was made by Richard Bales, who lives in Ryedale, where Third Energy had been planning to frack at Kirby Misperton. The internal review said the guest list does not exist for the meeting but the Department of Business, Energy and Industrial Strategy said it has reconstructed one from the organisations and companies that attended. The oil and gas companies present were: Aurora, BP, Cuadrilla, IGas, Ineos, Third Energy and the industry representative body UK Onshore Oil and Gas. Service companies: Ground Gas Solutions, Marriott Drilling, Onshore Energy Service Group, and the Zetland Group. Other industries and organisations: Chemical Industries Association and the chemical company SABIC, Coalfield Regeneration Trust, Engineering Employers’ Federation, GMB. “Hoping that we can be successful and create a ‘UK model’ for Shale extraction which can be exported around the world”. Question: “What does the Minister see as ‘success’? Answer: “Several wells in production; adequate support from government, industry and regulators resulting in confirmation that the system is working; working in partnership to make the case for Shale Gas and have line of sight to commerciality”. “the regulation is appropriate as the industry is a difficult one from a commercial perspective”. “planning is the problem and we need to work out how the system has been used by those blocking progress and understand why it takes so long. Also, need to educate people that we need more than just renewable energy at the moment”. “the requirement to try and show that Shale Gas is a robust and sustainable industry – used the example of UK wind to demonstrate the power of foreign direct investment and the ability for the UK to become an export of skills”. In another question, the minister was told that “facts about the debate have been missing”. “Whichever BEIS official that redacted the original version must have done so out of shame of association, as these documents now reveal an appalling lack of preparedness on the part of Government and an astonishing naivete at senior level. The industry vultures around that table must have been quietly licking their lips. “The notes show that even the industry doesn’t know where UK jobs will come from, that we have a Minister who is prepared to discuss regulatory control and commerciality in the same breath, and that PD and NSIP proposals are being presented to the operators as a foregone conclusion. In combination, these factors would lead towards a chaotic roll-out of an industry that will mimic the very worst of the US experience. Sorry KatT. All your example shows is that there are certain local issues where local politicians might support the views of those who vote for them, or not in some cases. Always been the case, with all politicians-that is the way they get elected. But, as usual with the antis, Giggle is the answer. Trawling through the thousands of references until one can be found to try and undermine and excite. Not research as I know it. Once they are operating as a Minister they need to look at wider interests. CP does just that. I recognise that means she is out of favour with your minority, but all Ministers suffer that issue. Meanwhile, she is securing an energy mix that is secure and affordable for the whole of the country. In reference to fracking she is certainly in line with her parties manifesto and the majority of the population who are not against fracking currently, but maybe not with Nimbys. So, she wants to speed up the process. That is her responsibility once councils show repeatedly they are unable to conduct the appropriate process within the defined guidelines, which is exactly what has been happening now for some time. Perhaps she is conscious if she doesn’t then some councils will pay the financial penalty and then go cap in hand to central government? Someones happy again? Big Header alert! Isnt that a giant 13 amp plug in the middle? it seems to be missing its earth pin? Not very safe? What a fraud, do they intended to plug into the mains all along? This is another much much bigger giggle, but perhaps being more serious, is not so funny, considering the impact on this countries ecology and what is may spell for the collapsing of our economy? This is Robert Llewellyn from the Fully Charged website, who tells the truth about fracking being a massive failing bankrupt ponzi scheme ans always has been. So when we see these over prolific crowing recidivist anti antis frantically trying to jam the ponzi scheme worms back in the overstuffed bulging bankruptcy can, we will smile ruefully know the truth wont we? It’s worth noting that the shale layers are thicker in the Bowland Basin than in most of the USA. It is likely, I understand, that more work will be done from single pad sites than in the US. The Cuadrilla site is also close-by one of the main north-south gas pipelines so if the exploration proves successful the gas can be relatively cheaply connected to the Grid. But regarding the proliferation of frack pads, they are likely to have far less visual impact than onshore wind farms.